BLOOMINGTON, Ind. 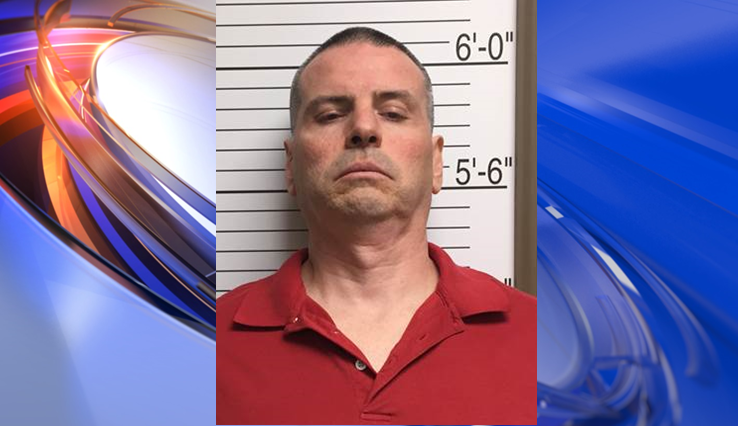 -- A southern Indiana man facing a preliminary charge of murder in the slaying of an Indiana University student has been accused of acting violently toward women in the past. Daniel E. Messel, of Bloomington, was arrested Friday on a preliminary murder charge in the death of 22-year-old Hannah N. Wilson, of Fishers, who was found dead Friday morning in rural Brown County near Lake Lemon, about 10 miles northwest of the IU campus in Bloomington. The IU senior had been struck three or four times in the back of her head, the coroner said. Messel, 49, was being held Sunday in the Brown County jail in Nashville. It wasn't clear whether he has hired an attorney. Messel has had several prior arrests for violence against women, including one more than 20 years ago in which a girlfriend told police he battered her and confined her to an apartment, The Herald-Times reported. Messel also was arrested on allegations that he beat his grandmother and broke bones in her face, and he later was arrested for felony domestic battery, the newspaper reported. Messel's pleaded guilty to one of three battery charges against him in 1993 and received a 30-day suspended jail term and six months of probation, the newspaper reported. Monroe County Jail and court records show Messel also spent one day in jail in 1995 after a felony domestic battery arrest. In 1996, he received the maximum eight-year sentence on felony convictions for battery with a deadly weapon and battery resulting in serious bodily injury. He was placed on probation for six years after his release from prison in 1999. Messel also was charged with battery resulting in injury in November 2006, but the charge was reduced to disorderly conduct. He pleaded guilty and paid $159 in court costs, a $50 public defender fee and a $1 fine. Wilson's slaying cast a pall over the Bloomington campus and the Little 500 bicycle race Sunday. A moment of silence for Wilson was held before the race, and some competitors and attendees sported purple and green ribbons or beads in her honor. Purple and green are the colors of Wilson's sorority. Police have not said how Wilson might have encountered Messel or why he was identified as a suspect in her slaying. She was reported missing Friday afternoon, hours after her body was found but before it was identified. Sgt. Curt Durnil said in a news release Saturday that investigators were still gathering evidence and that no other information about the case would be released until the findings are turned over to prosecutors. He said Sunday that Messel could make a court appearance and investigators could release a probable cause affidavit in the next day or two. Wilson's death comes nearly four years after another IU student, Lauren Spierer, vanished after a night out with friends in the college town. The 20-year-old Greenburgh, New York, woman was last seen on June 3, 2011. She has not been found and no criminal charges have been filed in her disappearance. In May 2000, another IU student, 19-year-old Jill Behrman, vanished during a bike ride near Bloomington. Her skeletal remains were found nearly three years later in a remote field about 15 miles from the city. A jury later convicted a local handyman, John R. Myers II, of Ellettsville, in Behrman's murder and he's serving a 65-year prison sentence.